After a meeting with our Jisc account manager a few months back we decided to join the eduroam service. This provides RADIUS based Wi-Fi access for both our students and any educational visitors who have an eligible account via their own institutions. This post outlines some of the infrastructure changes we put in place to provide the service using our Aruba controller and Microsoft NPS. Create an external DNS record and assign to an external-facing IP address that will be used by eduroam to contact your RADIUS server. Ensure that your firewall rules are tight and locked down to the specific eduroam NRPS servers via their IP addresses. Only allow the RADIUS port 1812 to accept connections. Note: you must allow ping on the eduroam external IP otherwise you will get server down errors in the support portal. Note the requirement to assign the attributes for VLAN assignment, which acts as a filter in case any incompatible ones come down from visiting organisations. Add RADIUS Server your-nps-server configure with shared secret etc. By sending RADIUS attributes across after matching a rule on NPS you can set additional rules on eduroam traffic within the controller. For example we provide a “pot” of bandwidth for all users in a particular role to share, ensuring that our Internet connection doesn’t get saturated by BYOD traffic. We have separate bandwidth contracts for staff, students and visitors. After ensuring that the mandatory eduroam applications are allowed to connected outbound we also ensure Guest Isolation is enabled (so devices can’t contact each other) and also that eduroam users can only contact specific internal services (such as Moodle) on defined ports using Aruba role-based firewall ACLs. If you’re not using a tunnelled \ controller setup then the security rules will need to be done with switch ACLs instead. NPS logs aren’t particularly human-friendly by default but with the help of this rather handy tool you can use PowerShell to search through them for particular usernames. Very handy if you’re experiencing authentication issues. eduroam also requires that you keep 3 months of DHCP logs to identify users and computers that have connected to the network. Fortunately there’s a handy DHCP log file retention script available that can help (as the standard Windows functionality is rather basic to say the least). Download my edited script from OneDrive and replace the server name variable with the name of your backup target then follow these steps to implement it. 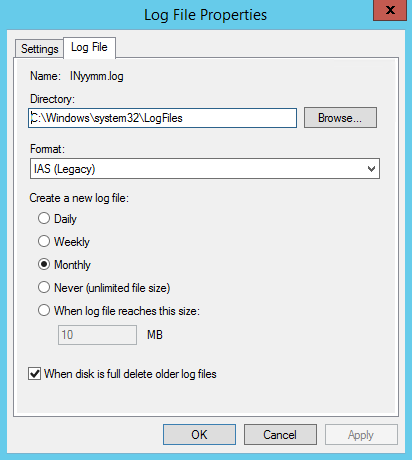 create a service account user to run the Scheduled Task that will archive the logs. I recommend a standard Domain User account with a complex password. I decided to run a separate DNS server for the eduroam clients. That way they only resolve the internal server names we want to expose (e.g. web server, VLE etc.) and it reduces any load on our main AD infrastructure. Then configure BIND via /etc/named.conf using https://opensource.com/article/17/4/build-your-own-name-server as a template. We use the IBM Quad9 DNS resolver (set as a forwarder) to ensure clients don’t connect to known malicious domains. Unfortunately Android users need to download an additional app to install a configuration profile on their device. 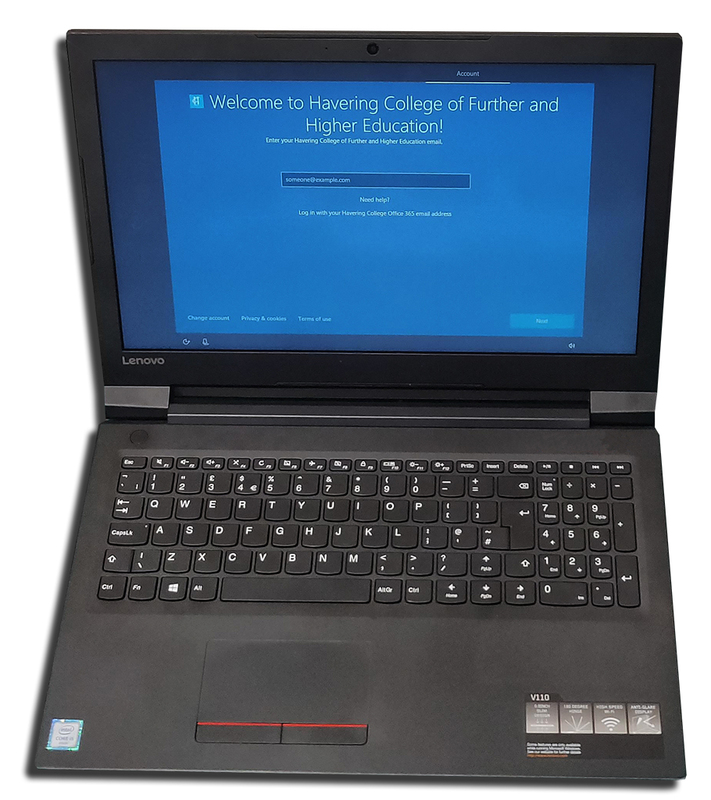 Because of this I’ve personally found it easier to tell users to download the eduroam CAT app from the Play Store as their first action then find the Havering College profile in there, rather than bouncing back and forward from browser > app > browser. I tried a few ways to get the eduroam CAT site to automatically open when users connect to a setup \ guest SSID, so that we can easily onboard them when they first arrive at the college. However sometimes client devices get too clever for their own good and if they see a Captive Portal with redirect then try and open up the CAT tool within their own Captive Network Assistant mini-browser. The problem with this being that the CNA browser doesn’t support certain features & scripts, leading to the CAT page appearing but not doing very much as the profile doesn’t download or install as it normally would. However note that you will need to add a series of Google domains to the whitelist to ensure Google Play access is also allowed for Android users to get the eduroam CAT app. 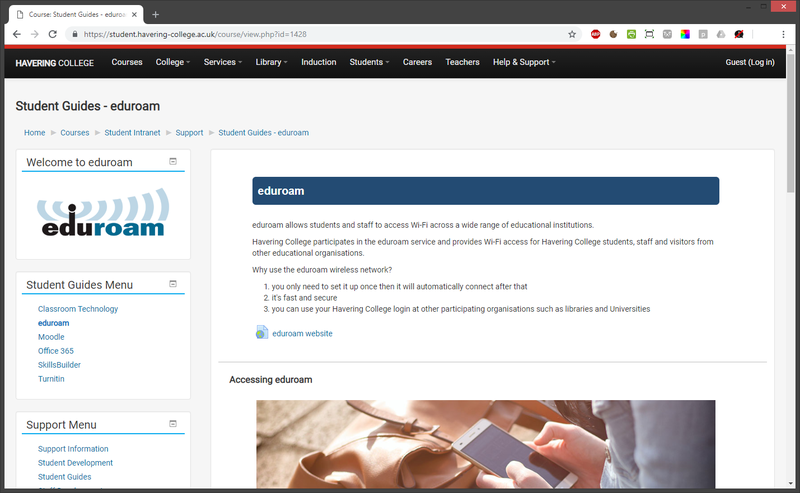 A mandatory requirement of joining eduroam is that you provide a support page for users looking to connect to the service. Participants MUST publish an eduroam service information website which MUST be generally accessible from the Internet and, if applicable, within the organisation to allow visitors to access it easily on site. Creating a Moodle course to house documentation and guides seemed a good fit for this seeing as our Student Intranet is hosted there. If you’d like to use our course as a template for your own site get in contact and I’ll send a copy over. Thanks to a funding bid from the Mayor of London we were recently able to upgrade our key Mac teaching rooms with the latest hardware for our Media students. With it brought a foray into the brave new world of Jamf Pro for management and DEP \ MDM deployment rather than the trusty DeployStudio imaging method the college has used for many years. This post outlines some of the new things my colleague Tristan Revell and I have learnt along the way. Most of the setup process during our Jamf Jumpstart session went smoothly but watch out when configuring your Active Directory bind settings. The service account we used initially wouldn’t connect for love nor money and in desperation I tried making a new account, avoiding any extra characters (-, _ etc) in the username and no special characters in the password… voila it worked first time. Whether that’s a bug or standard behaviour I’m unsure as it didn’t seem to be documented anywhere as a specific requirement. 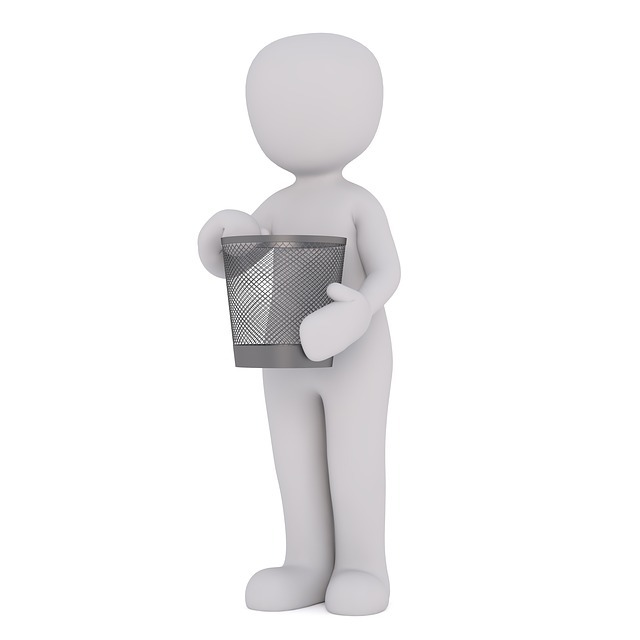 Order from a well-known reseller to ensure they add your purchases into DEP correctly. Sometimes it can take a few days (or longer) to get sorted out so plan this in early if you’re on a deadline! Once assigned add the Macs to a PreStage Enrollment group in Jamf. 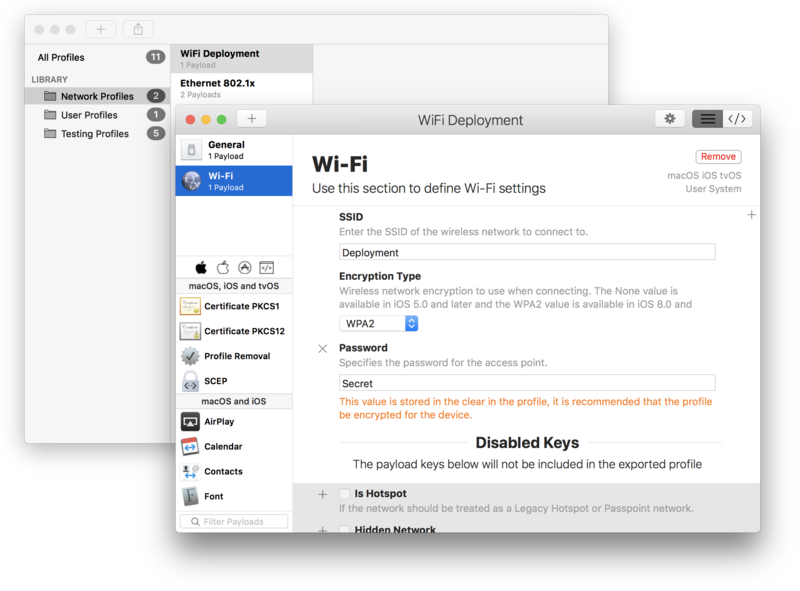 Remember to select all the Macs you want to activate with DEP and then hit Save when ready to deploy. At present we’re monitoring the firewall for traffic blocks when we do Internet Recovery and so far the IP-based whitelist entries we added have worked for a couple of weeks without change. However I don’t expect that to stay the case long-term and no doubt will be repeating the process at some point. For reasons only known to the Jamf developers there’s no built-in functionality to name a machine when it runs through the DEP Enrollment process. The automatically-generated name created by DEP is useless to us as we rely on room-based naming for classroom management. Fortunately there’s a workaround using a CSV file (or Google Docs if you prefer) that can do a lookup based on serial number and name the Mac to something of our choosing. We host the file internally and provide access to technicians via a network share so they can update the list as required. Apart from that the process works like a charm and looks spot on too! So instead we looked for what I thought would be a simple script to mount a share on login. That turned out to be quite a voyage of discovery! The first thing we learnt was that Jamf scripts that run at login run as root, so any scripts need to use a Jamf-defined parameter called $3 to obtain the currently logged-in user. We also found another setting that determines whether scripts run before the Finder loads or whether they can run asynchronously in the background. The latter setting helped with getting speedy login and the environment set as we wanted it. However it seemed to struggle with reading the DFS namespace as well as mounting a dynamic path relating to the currently logged in user; for example we wanted to mount a path something like \\domain.fqdn\Mac\Home\$3 but the script either took the path very literally if entered as a Parameter or not at all if hardcoded in. Other scripts we tried worked fine from Self Service (provided the user logs in first in order to get $3 populated by Jamf) but not at the Login Trigger. It was beginning to get a bit disheartening then we found the miracle cure! We have up to four instances of this script running, depending on the combination of user groups and shared drives we wish to mount and it’s working nicely in our environment. Within Jamf we have two copies uploaded into the Scripts repository. One is the unaltered version, which uses the first user-defined Parameter (aka $4) to define the path to mount. The other script is our adjusted version, which includes a couple of extra lines to calculate the path to the user’s DFS folder path. Replace Share_Path with your share path, placing the $3 wherever your username-specific section lies. The standard behaviour in macOS 10.12 and above is to warn the user before connecting to unknown network shares with a dialog box saying “enter your name and password for the server”. The syntax for the above is just the domain, with multiple entries separated by commas e.g. Oddly our Centrify \ Office 365 SSO isn’t fully working at present in Chrome and presents an authentication screen whereas Firefox and Safari SSO correctly; however other Kerberos SSO sites work fine. Need to investigate further to see if it’s just a missing domain that needs adding for Chrome or if there’s a technical limitation somewhere. I have seen a support page from another hosted SSO provider saying their service doesn’t work on Chrome for Mac, which does make me wonder if there’s a bug that needs fixing for this to work smoothly. Will test further when time permits. Previously we used a bash script to map printers based on the name of the machine but wanted to try and stick to the native Jamf functionality going forward for ease of management. Initially that seemed simple enough; add the printer manually on a Mac in the office then use Jamf Admin to upload the printer to the server and create a Policy to map it. However this didn’t seem to work and kept popping up authentication dialogs. Not good. A swift bit of research brought up the fact that although you can set Kerberos Negotiate auth on the printer it doesn’t get carried over in the upload to Jamf. Therefore each printer needs the authentication configured e.g. Although no-one on the forums seems to have implemented it this way it seems to work fine running the Script as an “After” action within the print policy. Effectively meaning the printers map, then get the correct authentication settings configured immediately afterwards. Checking PaperCut on a couple of test jobs shows the user authenticated correctly and jobs are running fine. Initially we had some issues with older HP printers e.g. Color LaserJet 4600n and it seemed they may be too old to be supported in Mojave. That seems to have settled down a bit now after updating firmware to the latest (2014!) version so we’ll see how they fare and replace if need be. Fortunately I’m not talking about the start of a self-help speech (!) Many of our environment customisations need to be applied to particular groups; most commonly staff and students. Initially we wondered how to achieve this when Scoping Policies as it seemed to require populating JSS Groups rather than using the ones in LDAP that we use for everything else. 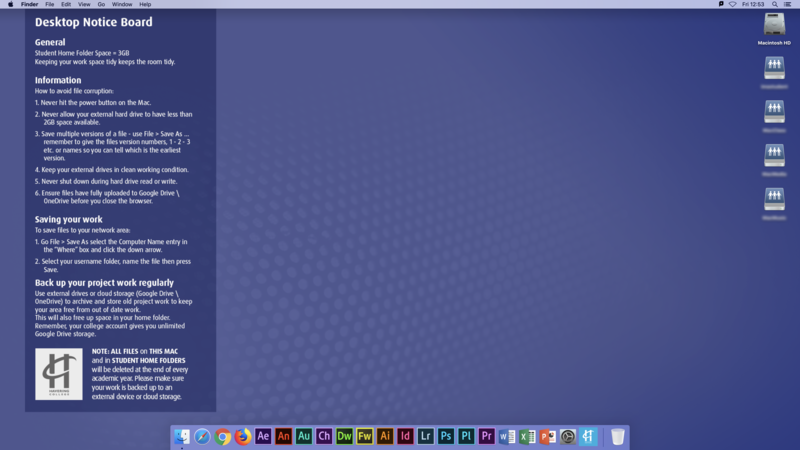 With some assistance from our Marketing team we have a nice fresh background to go with the new hardware and software. 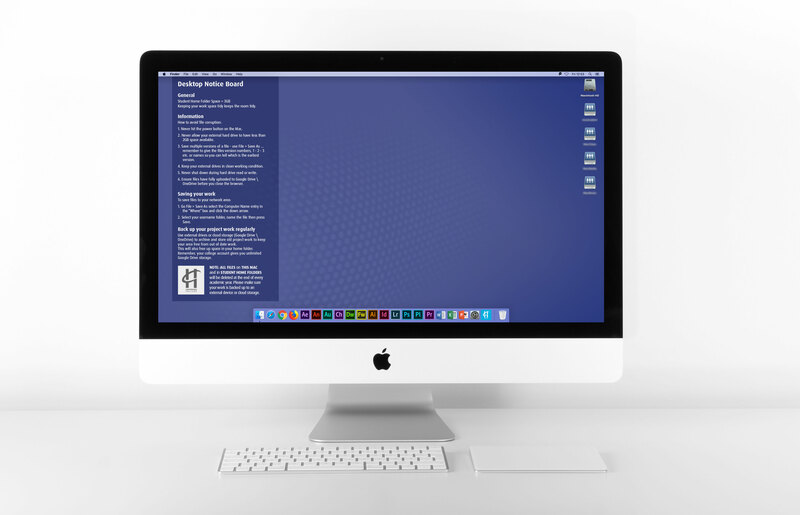 The subtle grill effect is a nod to the days of the Mac G5 tower and the notice board area on the left contains useful information to remind students about backing up their work and general housekeeping. We also rebrand Jamf Self Service to match the same “My Apps” terminology we use on our Windows 10 machines with ZENworks. Same concept, different platforms but keeps the user experience consistent. Lastly a shout-out for our Jamf Success Managers who have been proactive at tracking us down on LinkedIn and offering assistance to make sure we get up and running, a nice touch and good customer service. If I looked at my career like a movie franchise the prequel would surely involve the subject of today’s post. 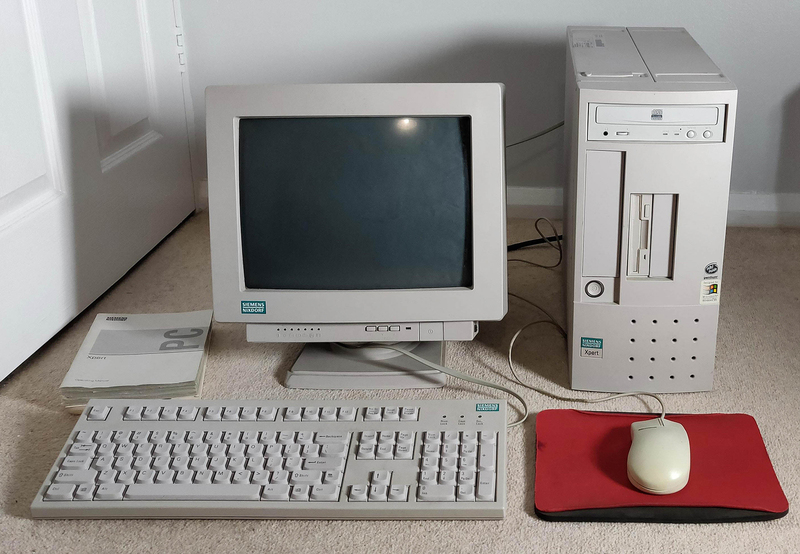 Seeing as it turned 21 this year I thought it apt to go back in time to feature the machine which got me started on the path to working in IT. Looking back I can trace my interests in computing further into childhood, starting in primary school with memories of pressing black and orange keys on what I now know was the BBC Micro. During my journey through early years education that then progressed to the Acorn Risc PC, of which I have very fond memories. 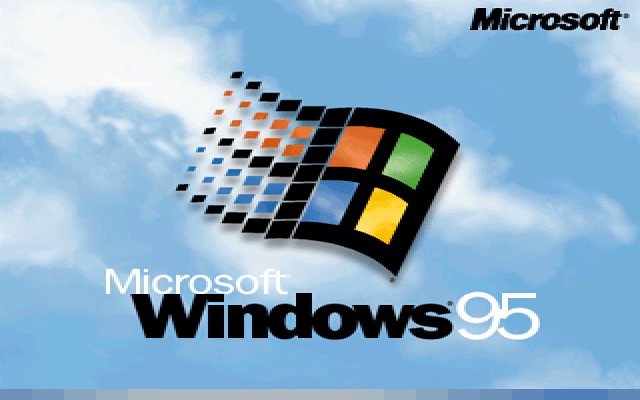 However by 1997 when setting out to buy a new computer Windows was the main game in town. 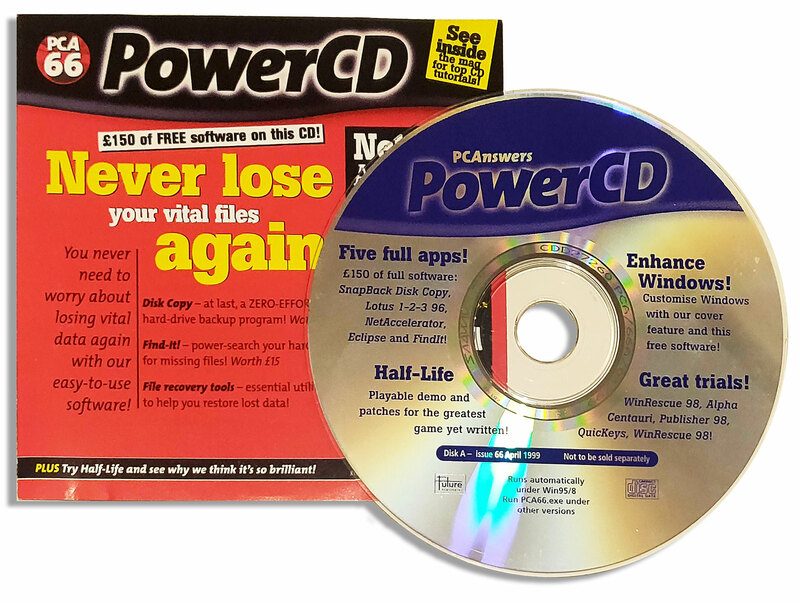 We start the journey in late 1997, having convinced my parents that a computer was going to help at secondary school and how it would make the perfect Christmas present we ventured down to our local Comet (remember them?) to take a look at what was available and see if we could get something under £1000. That was far from a given in those days! After initially asking the salesman whether they sold Acorn Risc PCs (spoiler, they obviously didn’t!) eventually a PC was found for £999 with a printer thrown in to sweeten the deal. 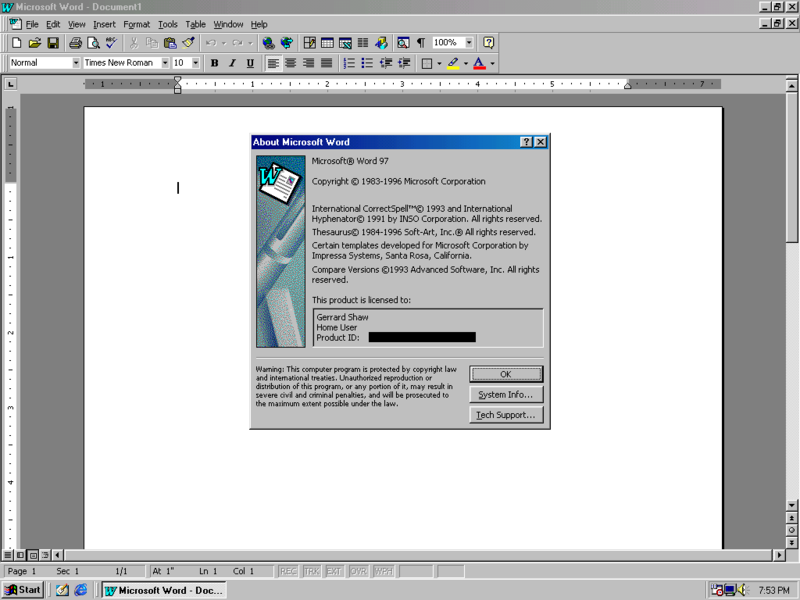 Starting off with Windows 95 OSR2 and Microsoft Works 4.0 was a pretty gentle introduction to computing but after only a few weeks things turned a lot more technical. The PC failed to boot and started throwing Scandisk (remember that?) errors. Initially a factory restore was tried, which wasn’t quite as straightforward as one might expect given half the process was in German, including the config.sys and autoexec.bat files (!) but I got there in the end. That first Windows install has now turned into thousands, I dread to wonder what the actual number is! It also turned out that the Lexmark (shudder) printer that was bundled in didn’t work either so troubleshooting skills were also quickly picked up before that went back and was replaced with an Epson Stylus Color 300. The machine gained a fair few upgrades along the way as I used it throughout school years, at the time fitted by the local computer repair tech we found in the local paper. I remember being inspired by his proficiency working on the (then expensive) tech and thinking “that’s what I want to do as a job”. That’s where it all began I think. First upgrade was memory as I soon exhausted the stock 32MB. Initially it was getting a boost all the way to 128MB but a huge earthquake struck Taiwan and the price of RAM doubled overnight so ended up with 1 stick instead of two, for a total of 96MB. 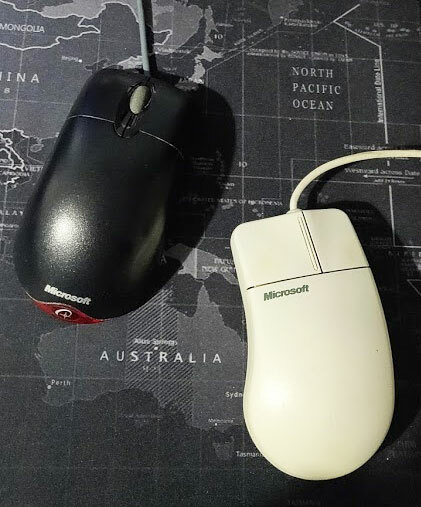 The OS was upgraded to Windows 98 SE and a USB card was also added to take advantage of that fancy new connector which didn’t need a reboot to detect a new device… magic! The other significant upgrade of note was adding a CD-RW drive in place of the existing CD-ROM. 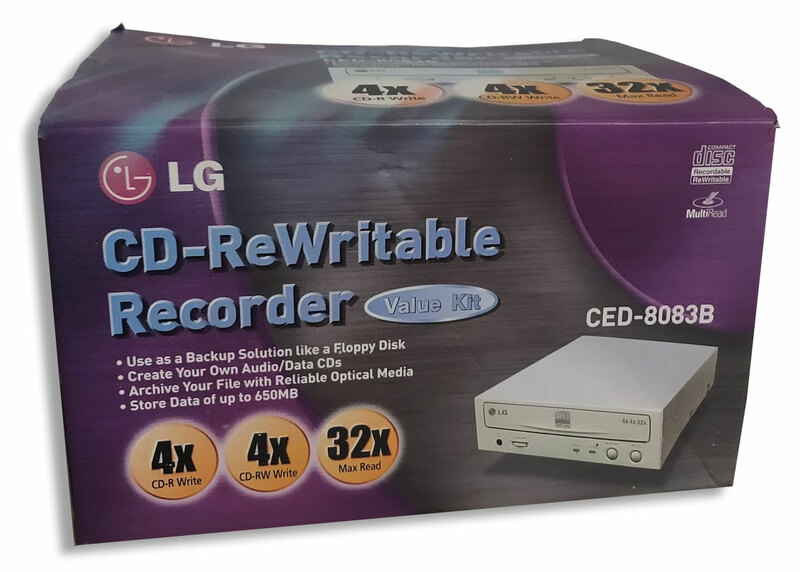 That 4x LG unit cost a cool £99.99 when it came out but proved well worth the investment as USB sticks hadn’t yet gone mass-market and transferring multiple files via floppy disk was a rather painful experience to say the least. Image editing was done in a cut-down Photoshop-lite product called Adobe PhotoDeluxe, which also taught me never to trust v1.0 software as it crashed regularly, usually right in the middle of a large edit. 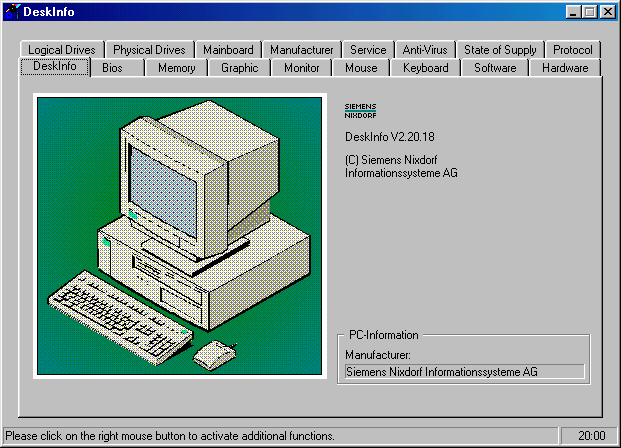 My CTRL+S reflex was well honed by that program, plus Windows 9x’s general tendency to do this..
What struck me at the time was the amount of system and inventory tools that Siemens Nixdorf bundled with a home machine, it felt like something you’d get for a corporate environment than your average home user. Similarly the machine came with a large suite of manuals including technical reference for the motherboard and BIOS, how often do you see that? 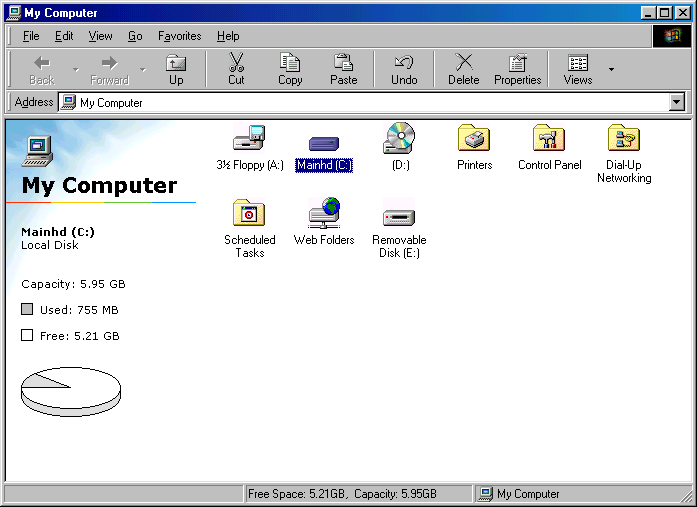 The software itself was called DeskView and DeskInfo. Recently we bought a Fujitsu Primergy server at work, which is a descendent of the Siemens Nixdorf computer business that was eventually bought out by Fujitsu. Sure enough the kit was built in Germany and comes with management tools called… ServerView. It felt like seeing an old friend again all those years later. I remember installing the demo of this new “Half-Life” game and being initially impressed by the design and atmosphere, even if I did have to run it at the very lowest setting for it to run anything like acceptably on the 2MB (!) internal Matrox graphics chip. I nearly gave up on it when I couldn’t get past the army grunts armed with only a crowbar and low-ammo handgun… then I beat that particular bit of level and 21 years later I’m still just as hooked. This is simply stunning, 20+ years after the original Half-Life was released comes a mod that’s right up there with Valve’s releases. 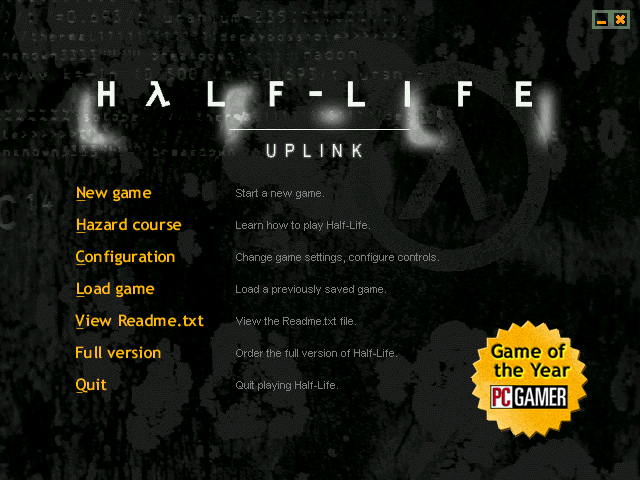 Download Half-Life on Steam, install this, set difficulty to Hard and put yourself right back where the story started! 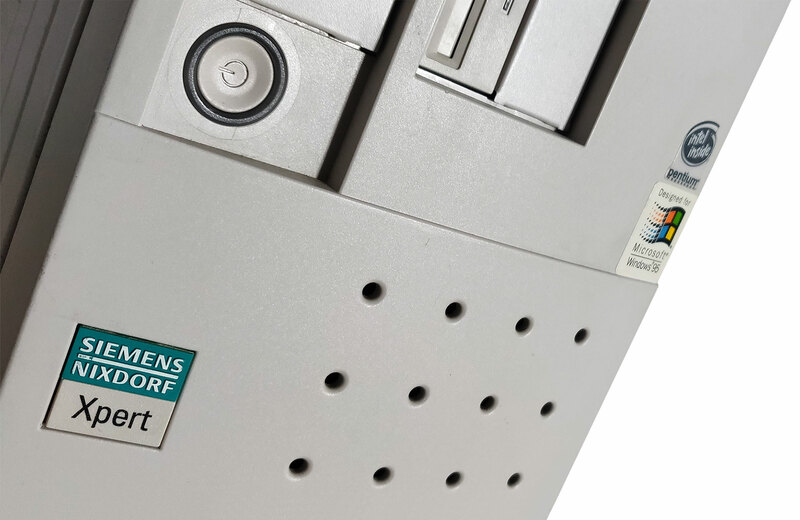 Fast forward some years to around 2002 and it had got to a point where I needed to move onto a faster AMD Athlon CPU and graphics card so with regret I had to put the Siemens Nixdorf into retirement. Unfortunately around the same time the motherboard failed and it seemed that may be it as the floppy drive rang out one last time before the boot screen went dark. I couldn’t face throwing out the machine so kept it tucked away hoping I could fix it somehow. The motherboard, manuals and RAM cost cost the grand total of €3 plus shipping, what a lucky find. One replacement motherboard fitted and the machine sprung back into life, 10 years after it first started up 🙂 I’d always wanted to put the fastest available CPU in so it was a nice bonus when the replacement board came with a Pentium 233Mhz installed. I also found a brand new keyboard in a surplus store on eBay so added that in as well as part of the rebuild. Now repaired it was kept nearby for any retro pangs and recently moved with me into its new home, where it was time to emerge from hibernation once again. 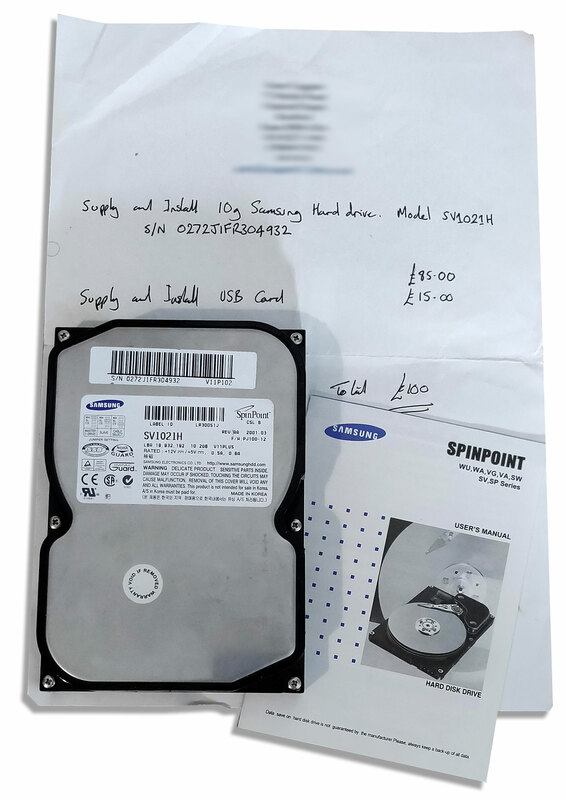 This time the hard drive needed a bit of… persuasion (yes, a well-placed thump) to free the disk heads and one Scandisk later it was back on the familiar desktop from all those years ago. One item left on the list is the original CRT monitor, which stopped powering on some time back. I suspect a power board issue but need to find someone who’s happy working around CRTs as that’s one area I’m happy to leave well alone due to the high voltages present. It seems that Windows 98 and associated machines have now hit the “retro” phase so I’m glad I kept it all for that nostalgia blast, never thought the sound of a floppy drive seek at boot would be so comforting! One thing I really enjoy about working in education is the wide range of tech that we get to work with day-to-day. Yesterday was no exception and something a bit more exotic than the usual networking queries. Due to our work with setting up streaming media for our Creative Arts department I was asked by one of the technicians if I could try and help resolve an issue they were having with remote managed lighting in our TV studio. With trusty ThinkPad in hand I wandered up to take a look. This then hooked into lighting dimmer units, which feed off to the individual lights themselves. The software launched correctly but the unit itself was unresponsive, as were the lights when attempting to change brightness. Initially tried power cycling the dimmers, reconnecting the interface cables, reinstalling drivers and so on but with no joy. We even tried a different brand of digital DMX controller with no luck. 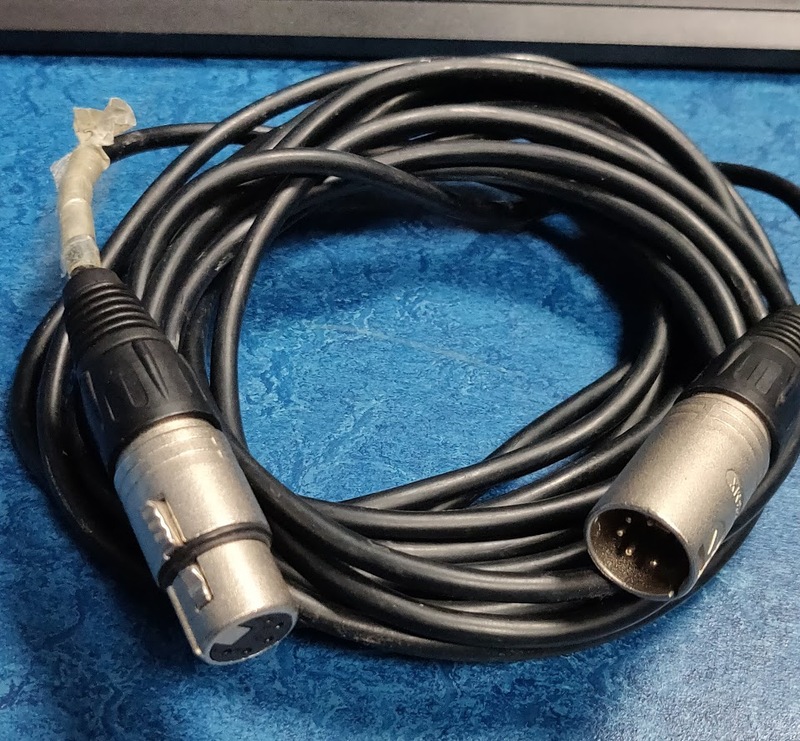 I then read that the DMX cables need to form a continuous daisy chain and one faulty fitting could cause the kind of issues we were experiencing. With that in mind we tried disconnecting sections of the chain until eventually realising it was some LED light fittings at the end that were causing the issue. Upon closer inspection it was found that they’d been switched from DMX mode to manual; a quick reconfiguration by the media tech later we were back in business! There’s something about AV cables that makes them rather satisfying to work with. Heavy-duty cables with big mechanical connectors definitely feel the part when connecting everything up! Given that we’re heavy users of Office 365 I decided to give Azure AD Join a try and go for a cloud-native solution, rather than extending the reach of internal services outwards. 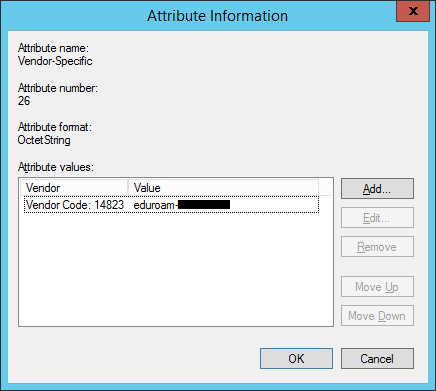 One flaw in the plan is that I’m still trying to make a case for adding InTune to our EES agreement so have had to get a bit creative in terms of deployment rather than using MDM to do the heavy lifting. Whilst at Future Decoded last year I attended a demo of Windows Autopilot, which sounded a very easy way to assign Windows 10 devices and get them up and running quickly. 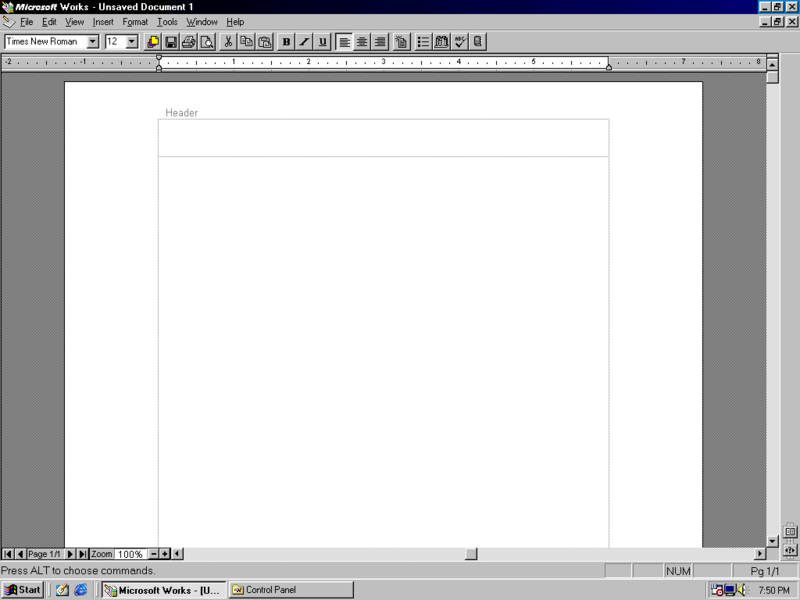 So with that initial thought discounted we turn back to trusty MDT. Having already gained its Windows 10 deployment stripes over summer I wondered if there’s a way to make a Task Sequence that will give a similar Autopilot experience but with a bit more flexibility around apps and re-using existing kit. 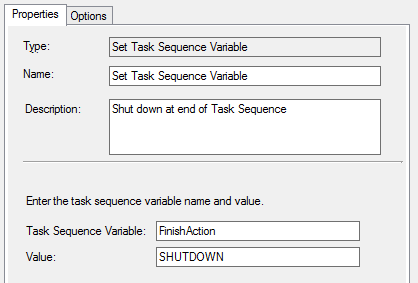 A fresh Task Sequence was created to handle the usual driver packs, generic Applications and machine naming. 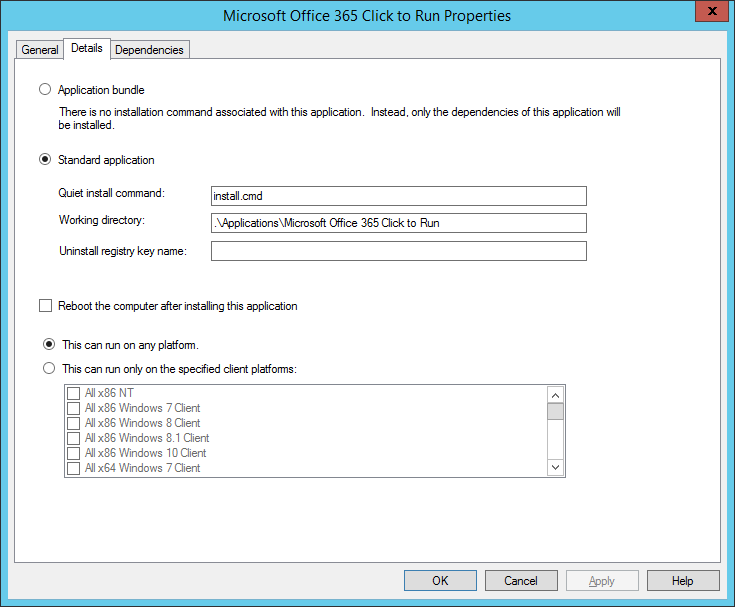 Now time for the fun part of integrating Office 365 ProPlus and Azure AD Join! Before we get to the Azure AD Join we need to deploy some basic software to the machine such as Chrome, VLC and, of course Office Apps. Internally we use Office 2016 ProPlus but for these Azure AD Joined devices Office 365 ProPlus is a better bet in order to ensure smooth SSO from the Azure AD account. Deployment of Office 365 ProPlus looks a lot simpler now than it was previously thanks to Microsoft creating a handy web app for generating the Configuration XML file you need for deployment. In your Task Sequence add this and any further Applications you wish to install in the usual place under State Restore. If using a Volume Licensing versions of Windows I also create an Application to install the MAK product key at this point. Now at this point you have a pretty bog standard Task Sequence and might be wondering how we get back to the first-run wizard. The reason for this is because it’s where we get our only chance to properly join to Azure AD if we want to log into the machine using an Office 365 account, otherwise if you join later on you end up with a mix of a local account connected to Office 365, which we don’t want. With this configured the machine will automatically run sysprep and return to OOBE state, ready for the user (or admin) to join the machine to Azure AD via the first-run wizard. 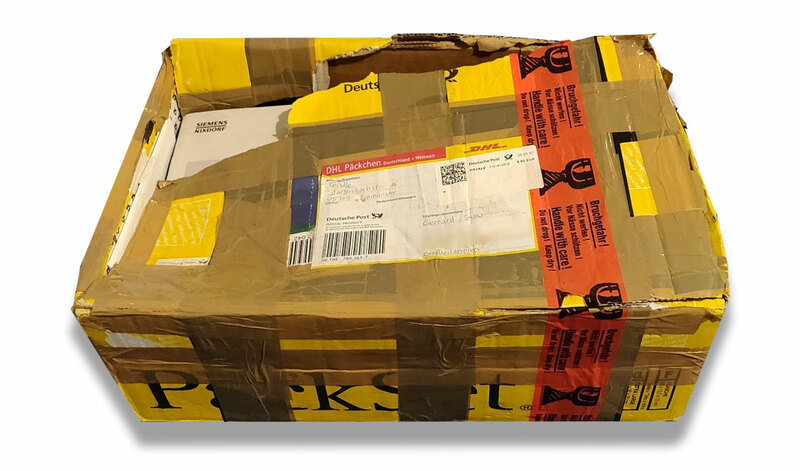 Now what we have so far is good, but we can go a bit further and add some InTune-esque customisation of the deployed system via the MDM method of Provisioning Packages. This will allow you to prepare an identical base set of machines that you can quickly customise by plugging a USB stick into them at the OOBE screen for any additional changes. It’s also a good insight into how the policies, or should I say CSPs (Configuration Service Providers) work. Applying the package file from a USB when OOBE appears works fine but I couldn’t resist the automated approach outlined in the post below to do it via MDT. If you’re using one of the latest builds of Windows 10 note the comment at the bottom that you don’t appear to need to sign the packages for 1803 onwards. However I found that in MDT running the Add–ProvisioningPackage Powershell command with a UNC path didn’t work, giving me “path not supported errors”. net use P: "$DeployRoot\Applications\Provisioning Package - Your Name"
Write-Output "Adding TrustedProvisioners Registry Key"
Start-Process -filepath "C:\windows\regedit.exe" -argumentlist "/s P:\TrustedProvisioners.reg"
Write-Output "Adding Provisioning Package from folder: $DeployRoot\Applications\Provisioning Package - Your Name mapped to P:"
One part of ICD that I found didn’t seem to work at all was Start Menu layout deployment. In Active Directory land it’s a simple GPO but despite following the MS documentation to the letter it never applied despite the Provisioning Package working otherwise. At this point we’re very close to having a hands-off deployment but we need a method to join the machine to Azure AD itself. Of course you can do this manually if you wish; the machine at this point can be handed to a user to complete the OOBE wizard and they’ll be able to log in with their Office 365 credentials. 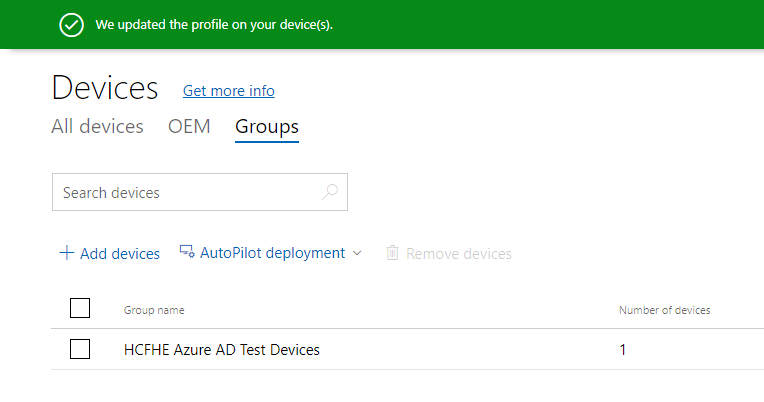 Be mindful that the user who performs the Azure AD Join becomes local admin on that device. If you don’t want this you’ll need to use the method below to get a bit more control. Again documentation on this isn’t exactly forthcoming but there’s one particular Technet post by a Microsoft staffer that suggests it is limited by licensing. 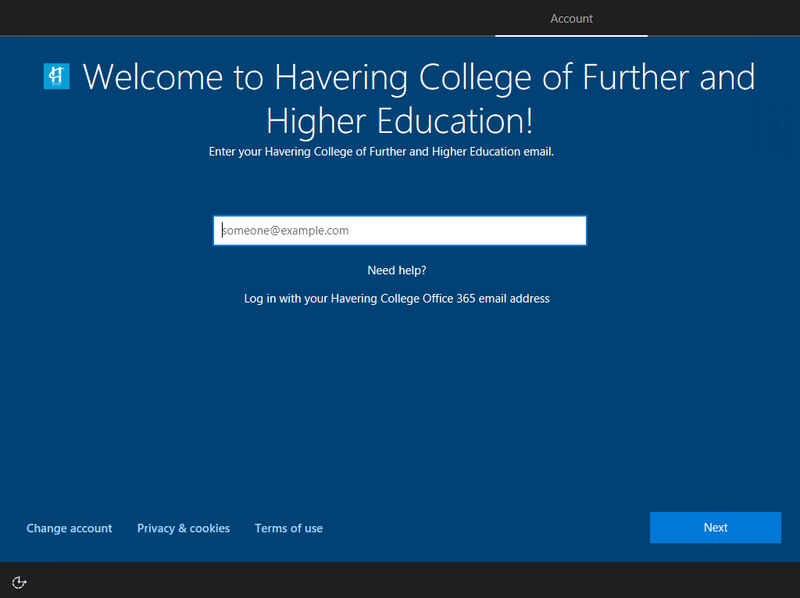 Interestingly the Set up School PCs app is able to join to Azure AD in bulk, which suggests Microsoft can enable this functionality to non-InTune users when they feel like it but seemingly not for ICD use. Remember I said I’d return to Autopilot… well, “later” in the post has now arrived and it’s time to make use of it. An interesting observation during this process was the mysterious appearance of the “Other user” button, which I’d been chasing on Azure AD Joined machines for a while before this but without much joy. As you can imagine I was quite pleased when it popped up after running the first couple of test Task Sequences. 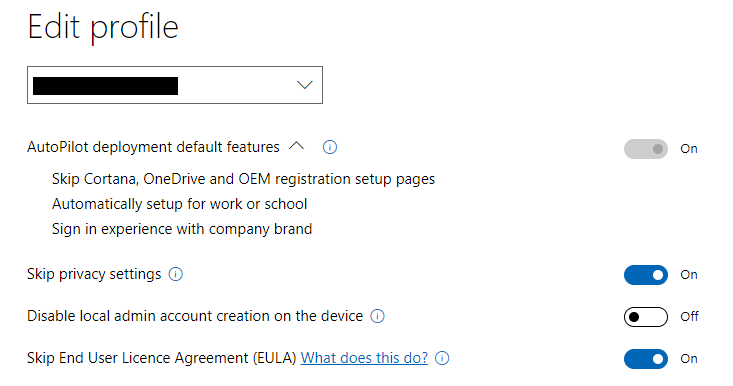 I’m not sure if it’s a recent Windows Update, enabling some of the “Shared PC” settings in ICD or (more likely) the additional of Azure AD Premium P1 licenses on our Office 365 tenant but it makes an Azure AD Joined machine much more usable for our use case, where machines need to be loaned out to multiple members of staff. If anyone can clear up this quandary it’d be great to hear from you! At this point once your freshly imaged device hits the OOBE screen it’ll connect to Autopilot, apply the profile settings and skip all screens apart from bare minimum input required from the user for keyboard layout and login info. 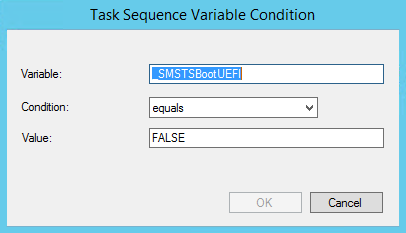 During all our test runs we had the ZCM Agent deployed via a Powershell script in the MDT Task Sequence. It went somewhere in the middle of the TS as per the Microsoft default template along with all the usual suspects (Chrome, Office and so on) and we didn’t need to think anything more of it. All our pilot machines deployed beautifully, as did the first 2000 devices over our summer, registering neatly into ZCM as you’d expect it to. However around the end of August our technicians started reporting images failing part way through. At first it was one or two machines out of 15-20 in a classroom but over the course of a week or so it was becoming worse to the point where most were failing and successes were the exception rather than the rule. The failure occurred within the autologon process that takes place as MDT reboots between deployment stages using the local administrator credentials defined in the Deployment Share. 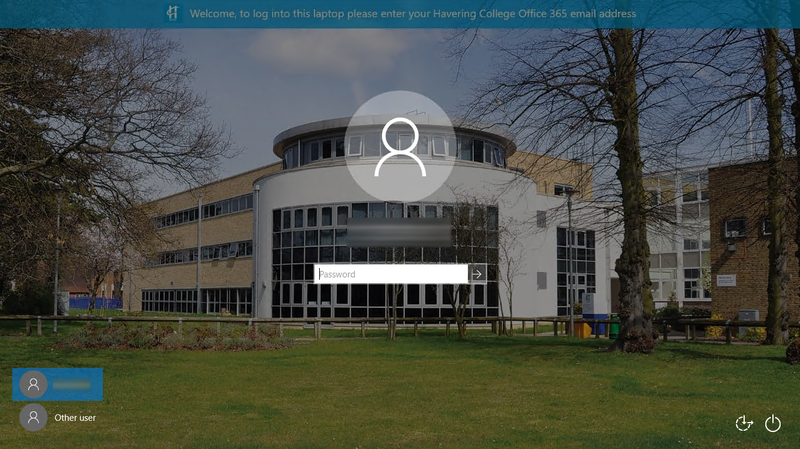 The logon screen appeared to be corrupted as it was a hybrid mix of the Microsoft Account login screen (with an email address input box) mixed with local login (username and password fields below). A reboot is then required to start a fresh deployment attempt. If you stood and watched for long enough there was a subtle flash on the screen every couple of minutes, as MDT presumably tried (in vain) to enter the autologon credentials. Reviewing deployment logs (BDD.log for the in-progress machines) didn’t show any failures, just a nice series of applications deploying, a clean reboot and then… nothing. Looking at where we’d got to in the TS it became clear the failure occurred between Windows Updates (Pre Application Install) and finishing the Applications stage. It was simple enough to absolve the Impero client of blame – we disabled it in the TS with no change to the failures. The second point is a bit harder to isolate. Initially I declined the 2018-08 Cumulative Update for Windows 10 but that had no effect either. In desperation I also completely rebuilt the Boot Images and upgraded MDT from 8443 to 8450, as there were some notes about additional compatibility for Windows 10 1709 (which we’d decided to stick with as our standard build some time back). At this point the imaging failures were threatening to put us behind schedule so one Sunday in the peace and quiet at home I fired up the VPN, deployed 3 blank Hyper-V VMs on my work desktop and decided to keep testing, imaging and re-imaging until I’d cracked it. Once I’d got the test VMs set up I started to work through some theories of what could be happening to break autologon all of a sudden. Removing some of the Reboot steps in the TS delayed the failure but didn’t prevent it from happening. Looking through the list of Applications most are pretty benign in terms of how they affect Windows but the ZCM Agent stood out to me, knowing it hooks into the Windows GINA to obtain Passive Login credentials. It was a bit of a hunch but a logical one given most other options had been exhausted by this point. I decided to move it right to the end of the TS, with only installing AV and Join Domain after it. Voila, success! However I also wondered why this didn’t happen consistently on every machine, given they all should’ve been installing the same updates? Looking at our WSUS server it was getting worked hard, despite having had a memory upgrade and IIS pool increase a while back. Pushing the WSUS server up to 4 vCPU / 16GB RAM / IIS pool increased to 8GB (who said WSUS doesn’t need much resource?!) seems to have made the update installation process quicker. That makes me wonder if some machines weren’t picking up all the updates and thus the failure didn’t occur every time. The story does come with a happy ending, after finding the fix (plus an early start the following Monday) the remaining machines were imaged in time for our new classrooms to be brought online at the start of term. Keep your ZCM Agent install step as close to the end of your TS as possible and definitely after all Windows Update steps have already ran! In the past I was a fan of what could be called a Hybrid image model in as much that I’d create a “Base” Reference image in a VM, usually comprised of Windows + Office + Updates. That would get captured and become the WIM file that goes into the Task Sequence. 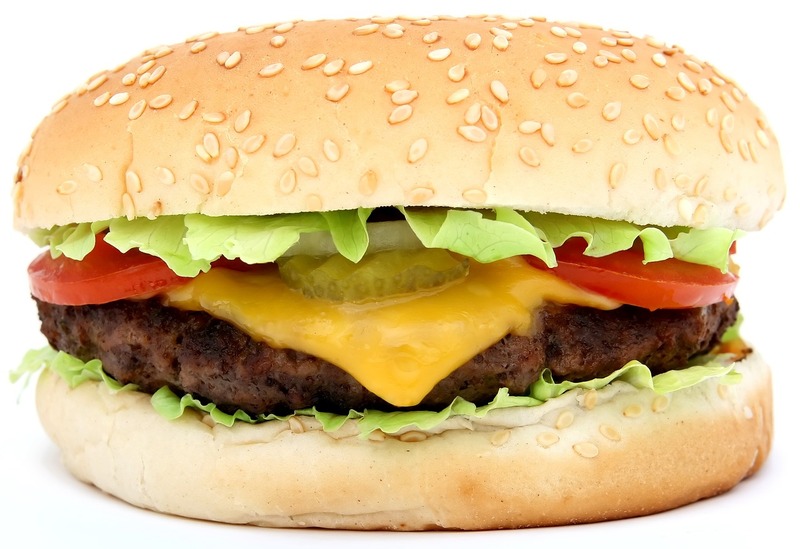 However with Windows 10 I’ve decided to go down the completely thin approach that’s best represented as either a sandwich or hamburger depending on your culinary preference (!) 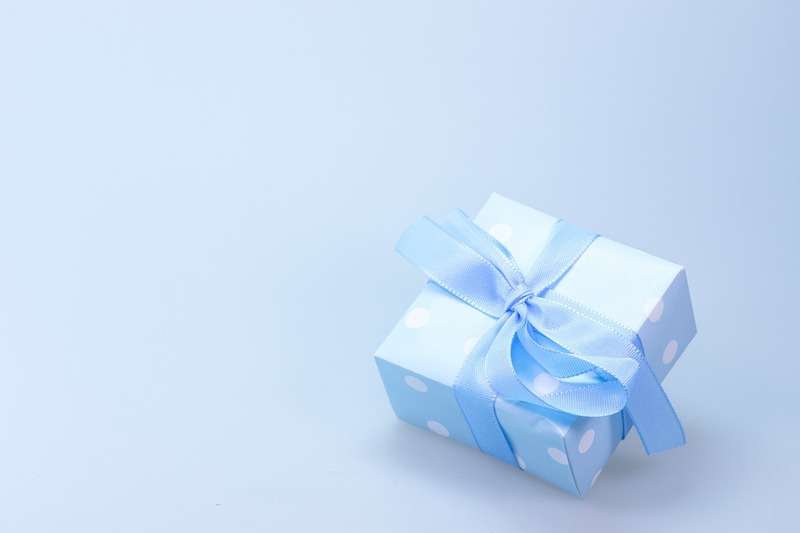 Effectively the deployment gets built from its component parts, starting from an unaltered source Windows 10 WIM file extracted from its parent ISO image. In our case we’ve settled on Education 1709 x64 as the build to deploy, due to some useful features such as OneDrive Files on Demand and Windows Defender Exploit Prevention. Along the way we’ve also used the 1607 and 1703 builds. 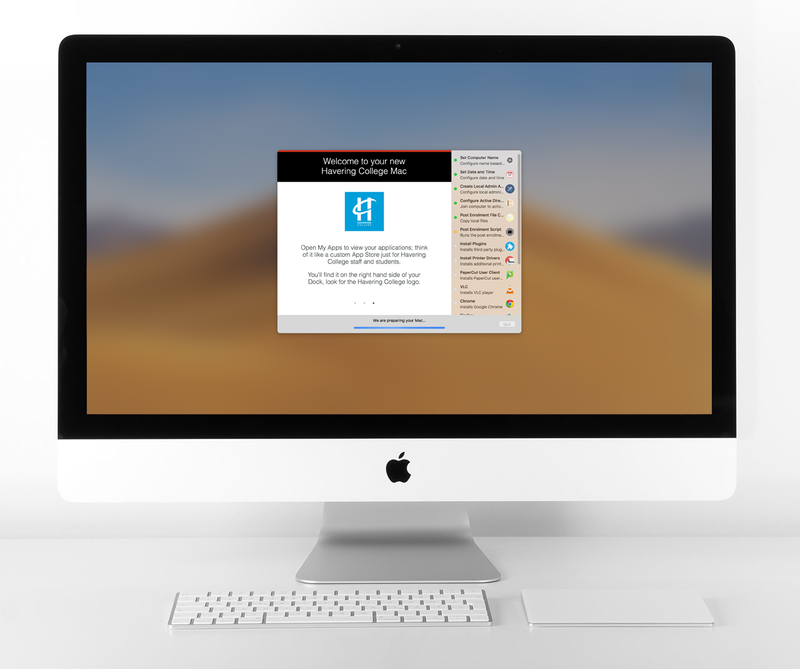 The advantage of using the Thin image method is that we can swap the OS out at will with two clicks, rather than having to go through a Capture process that seems to have the potential for error. 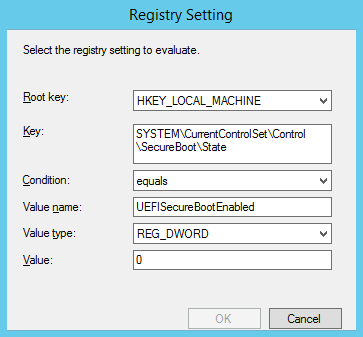 Windows 10 1709 brought in some new security features which benefit from machines being converted to UEFI rather than BIOS mode and in some cases (Windows Defender Credential Guard) needs Secure Boot too. 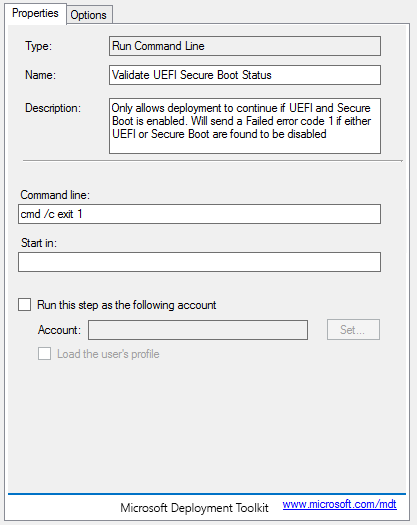 Seeing as we need to update the BIOS > UEFI on older machines anyway it made sense to enable Secure Boot at the same time. The question was how to ensure that a machine is correctly configured before starting the imaging process (as converting later on is far from ideal). Sadly despite Microsoft giving Education our very own specific build of Windows they didn’t extend the effort into cleaning up the junk that gets pushed down with a standard Windows 10 installation. Seriously who wants Candy Crush on their business machines?! Although the client does auto-update we didn’t want any automatic sync starting without the placeholder functionality being in place so I’ve scripted an Application in the MDT Task Sequence to take ownership of the file on the newly deployed image, copy the latest version of the client over and then set everything back as it was. For more details and the script itself please see my previous post OneDrive Files on Demand – update! During our Windows 10 deployment we’re also migrating to a new set of Windows Print Servers, along with new GPOs to map them. However in initial testing I noted the first user to log in had a long wait whilst drivers were copied down from the server and installed. Although subsequent logins won’t get this issue it doesn’t give a good first impression to the initial user so I wanted to find a way around it. Because we’ve rationalised our print fleet over the past few years in a move towards MFDs I only have 3 drivers to cover the entire range of hardware. By using a script method I can then pre-stage the drivers onto the machine at image time and speed up that first logon significantly! cscript "prndrvr.vbs" -a -m "HP Universal Printing PCL 6" -i "%CD%\HP Universal Print Driver\pcl6-x64-6.4.x.xxxxx\hpcu196u.inf"
Note the use of %CD% to ensure the path to the driver file is resolved correctly! Although there’s nothing special about running Windows Updates in MDT (use the built-in Task Sequence steps) we noticed that our WSUS server was struggling and sometimes hung the “Install Updates” step of the Sequence. The WSUS console then become unresponsive on the server end too. After further research it turns out our increasing number of machines needs more resource than the default WSUS limit of 2GB in the IIS Application Pool to handle the connections. Upon making the change below it’s back to being stable again.